Want a quick look into this match's high points? Check out the bitesize match highlights below - powered by Suzuki. 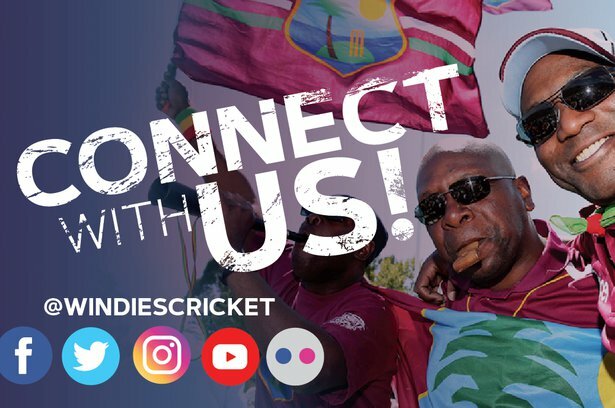 GROS-ISLET, St. Lucia – WINDIES let things slip in their bid for a clean sweep of the Wisden Trophy Test Series against England on Sunday, when speedster Mark Wood and off-spinner Mooen Ali shared nine wickets and demolished their batting here. Left-hander John Campbell hit the top score of 41 and wicketkeeper/batsman Shane Dowrich made 38, but no other WINDIES batsman reached 20, as they were bowled out for 154 about half-hour before the scheduled close on the second day of the Test at the Daren Sammy Cricket Ground to concede a first innings lead of 123. Campbell shared an opening stand of 57 with stand-in captain Kraigg Brathwaite and Dowrich put on a valuable 41 for the eighth wicket with Kemar Roach in between the destruction wrought by Wood with a career-best 5-41 from 8.2 overs and Ali with 4-36 from 15 overs. The WINDIES bowlers were unable to make any early inroads into the England second innings batting in close to an hour before stumps were drawn on a day when 16 wickets tumbled, and the visitors’ left-handed opening pair of Rory Burns, not out on 10, and Keaton Jennings, not out on eight, guided their side to 19 without loss for an overall lead of 142. WINDIES had initially grabbed the momentum away from England in the morning period, as their attack, led by Kemar Roach, continued to bowl with discipline and dismissed the visitors about 20 minutes before lunch. Shannon Gabriel made an early breakthrough to dismiss Jos Buttler without addition to his overnight score of 67 and Roach practically mopped up the rest, including Ben Stokes for the top score of 79, as England lost their last six wickets for 45. Roach ended with 4-48 from 25.5 overs, taking his tally of wickets to a series-best of 17 at 12.05 apiece. WINDIES reached two without loss at the interval, and stand-in captain Kragg Brathwaite along with fellow opener Campbell gave them their fourth half-century opening stand of the series. Things however changed, when Brathwaite skied a catch to deep mid-wicket off Ali, who trapped Campbell lbw two deliveries later – a decision confirmed following a review by the batsman – to leave WINDIES 57 for two. 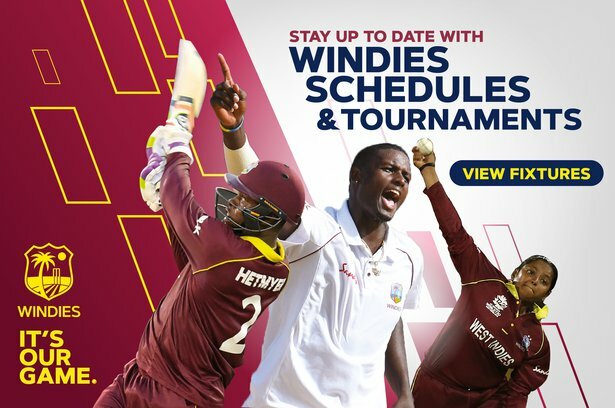 Things unravelled for the WINDIES, when Wood, playing for the first time in the series and consistently clocking more than 90 kilometres an hour, claimed four wickets in the space of 16 deliveries in the final hour before tea to leave the home team rocking. Shai Hope was caught at gully for one, slicing an ill-advised drive at a wide delivery from Wood, whose next delivery Roston Chase fenced to the same fielder, as the WINDIES slipped to 59 for four. Two overs later, Shimron Hetmyer was caught at first slip, groping at a short rising ball from Wood to leave WINDIES 74 for five at tea before the same bowler had Daren Bravo dismissed in similar fashion in the third over after tea. WINDIES were 79 for six and Keemo Paul threatened briefly and with Dowrich carried the home team past 100 before he was stumped off Ali for nine, ill-advisedly charging down the pitch. A 41-run, eighth-wicket stand between Dowrich and Roach frustrated England for close to half-hour while runs were scored at more than four an over. The partnership was broken when Stuart Broad had Dowrich adjudged lbw on review and held spectacular catch running back from mid-off, as Alzarri Joseph became Ali’s final scalp. Shannon Gabriel cracked a boundary square off the first ball he faced from Wood before the England fast bowler clean bowled him to bring the innings to a close. When play started for the day, WINDIES aim was to make inroads into the bottom half of the England batting, after the visitors resumed from their overnight total of 231 for four. Gabriel, clocked doing more than 90kph, struck in the third over of the day, when he bowled Buttler, essaying a loose drive at a well-pitched delivery. The WINDIES strike bowler continued his spell of searing pace and totally shattered the confidence of Jonny Bairstow, striking him on the helmet and a few times on his body, and failed to hold a sharp return chance offered by the England wicketkeeper/batsman. In between, Roach started his reign, when Stokes, whose innings included eight fours from 175 balls, was caught at square leg to a fine running catch by wicketkeeper Dowrich from a top-edged hook. Roach followed up six overs later, when he bowled Bairstow for two with a delivery that moved back sharply, and Joseph got into the act, when he had Ali caught at first slip for 13, playing forward. Roach had Wood caught at deep fine leg for six, a stunning, running catch by Joseph around the boundary, and Jimmy Anderson caught at fourth slip for a second-ball duck, fending a snorter, to bring the England resistance to a close. The adventure doesn't end wit cricket. Visit St. Lucia, and let her inspire you.